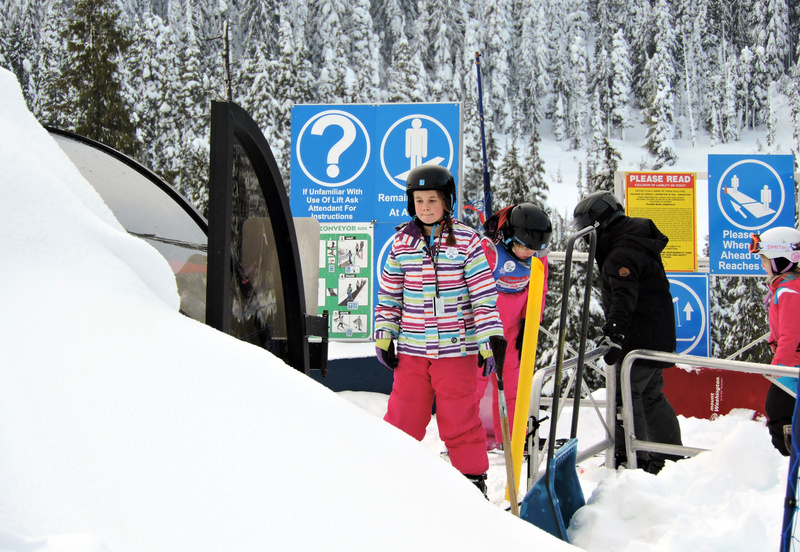 Mount Washington is one of the top ski hills in BC and it’s located on Vancouver Island! 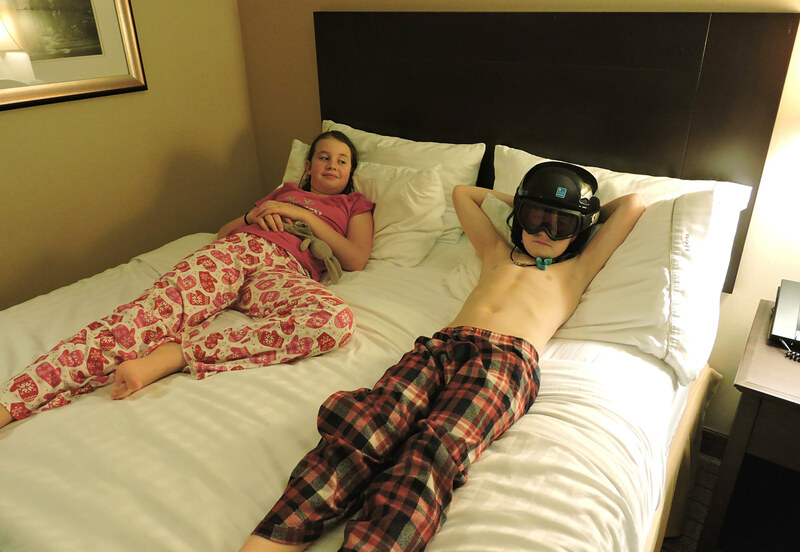 See how you can turn into a skiing and snowboarding family this winter and why. The next chair on the lift is coming around the corner and it’s going to scoop us all up. I look down the line and see Gretta and my three kids ages 6, 8 and 9 shuffling around. All eyes are on us and the moment of no return is coming. Three days prior, my kids had never put on a pair of skis or a snowboard and now here they are, sitting next to me, with their feet dangling over the snow below. Turned out getting on the chairlift was the easy part. Oh how I wish you could have seen us spill off the chairlift at the top. It was quite the scene! But I didn’t care, we all made it safe and sound and the ski down was calling our names. It’s not every day you get to cross something off your bucket list. But today was that day for me. A dream I never thought would be possible was coming true and a core memory was born that would be etched into my brain forever. I know many of us Islanders would be more confident driving up a mountain road with a 4 inch waterfall coming down it instead of 4 inches of snow. I get it. 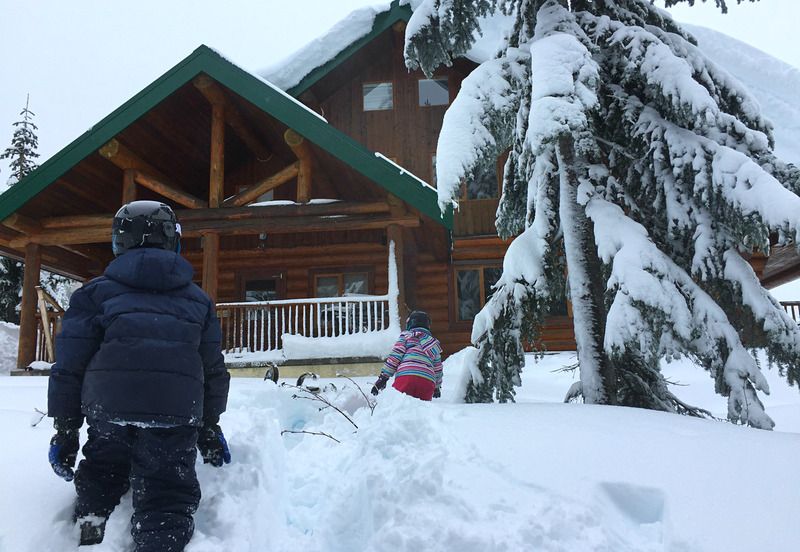 We aren’t used to the powdery white stuff, but that shouldn’t keep us from taking our families skiing. You just need to be smart about it, unlike we were. That’s right. I said unlike we were. Thanks to a huge snowfall the night before and morning of our first time up the mountain, we received all the inspiration we need to write a blog post entitled “5 ways not to drive up a mountain ski hill”. We made about every mistake you could possibly make. And you will get to learn from our newly acquired mountain driving skills so your experience will be better than ours. But we will save that whopper of a story for another blog post coming soon. It will be a gooder. 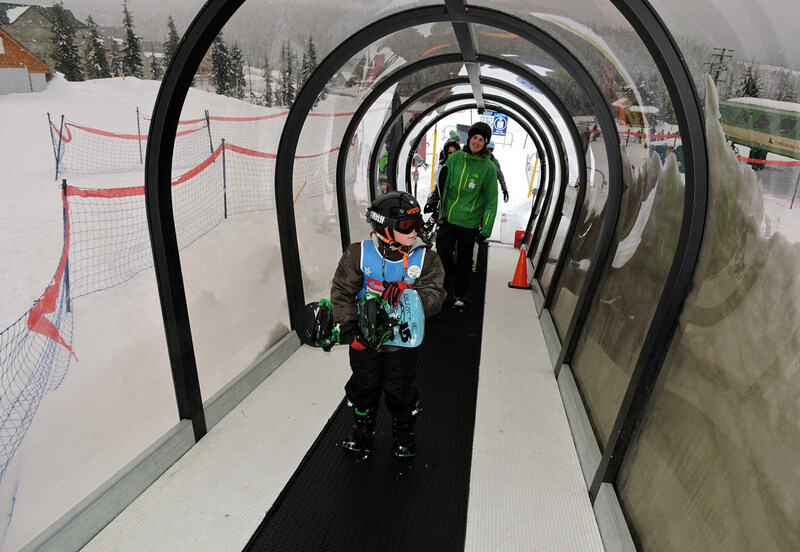 Without a doubt, Mount Washington knows how to teach kids and adults how to ski and snowboard. 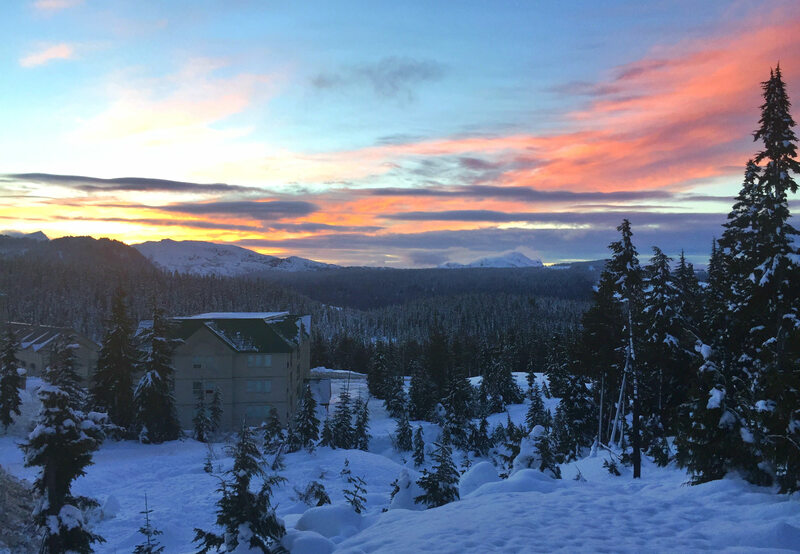 We experienced a 4-night ski trip to Mount Washington Alpine Resort which turned out to be just right for a family new to skiing. Apparently it takes 3 days of learning before you are truly hooked on the sport. 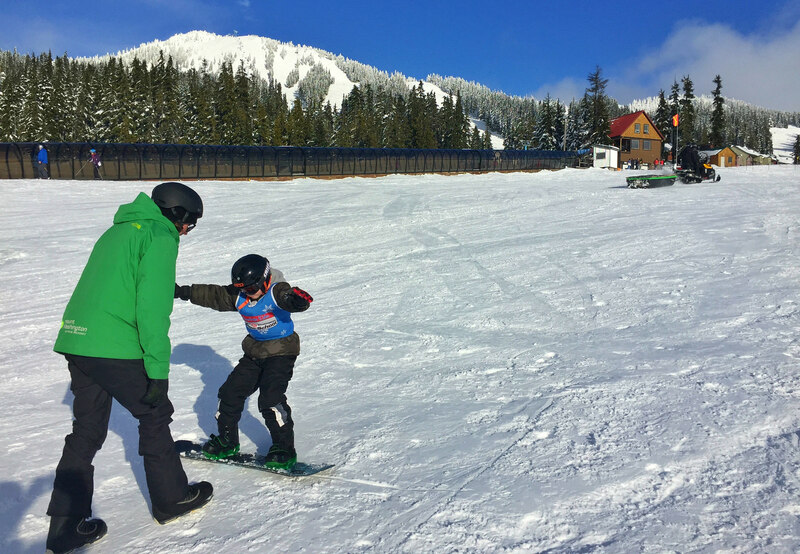 After our boys felt the rush of careening down a mountain trail on their snowboards (and in the case of my daughter, carefully zigzagging down the slopes on her skis) they were all hooked. No joke. After the first day my 8 year old turned to me and said “I’m ready for the jumps now Daddy”. If you’re renting your equipment and signed up for lessons, you’ll want to arrive early. It always takes longer than you think to get all your gear on and when you’re paying the kind of money you are for the day, no one wants to be that stressed out family who arrived late and is in a constant state of rush and panic. 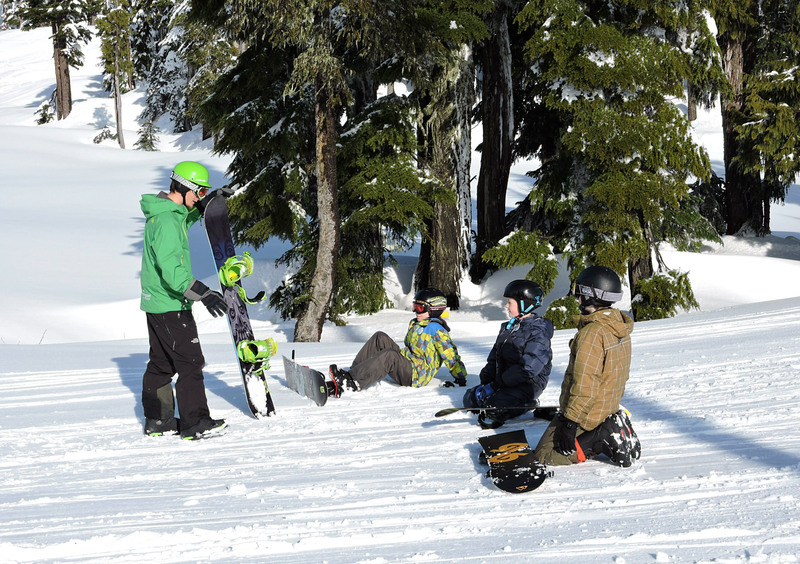 The chairlifts open up at 9am and morning lessons start at 9:30am. The smart families arrive at the parking lot at 8:15am with plenty of time to get a close parking space and get geared up. If it’s a weekend, this is an absolute must as the mountain activity increases substantially. The ski instructors and mountain rental staff are wonderful and patient. With accents from all over the world, many internationals descend on Canadian ski hills during our winter months. It seemed like there was an army of friendly staff everywhere in green instructor jackets ready to help us. Before we knew it, we were all fitted with snowboards, boots, skis and goggles and ready to go. That is, until one of the kids said they had to go to the bathroom. Note to self… bathroom first. Always bathroom first. I grew up skiing and later learned how to snowboard as well, so today was not about me. It was about my family learning a new sport…one I was hoping we could all enjoy together someday. I had a blast walking back and forth between the three kids’ groups watching them learn. At first I was a little nervous with all of them in different ski school groups, but Mount Washington snow school instructors knew better. Every time I changed my rotation to another child, I was amazed at how fast they were progressing. On one visit they were crashing and struggling their way down the mountain and the next visit they were all smiles with confidence growing by the minute. The instructors were patient, friendly, and truly made it an enjoyable experience for my kids. It took three 2 1/2 hour lessons each, and these instructors were able to get my kids to safely take the chairlift up the mountain. I don’t know what I was thinking, but the rate the kids learned completely exceeded my expectations. And before we knew it we were all on the chairlift together. It was an incredible moment. 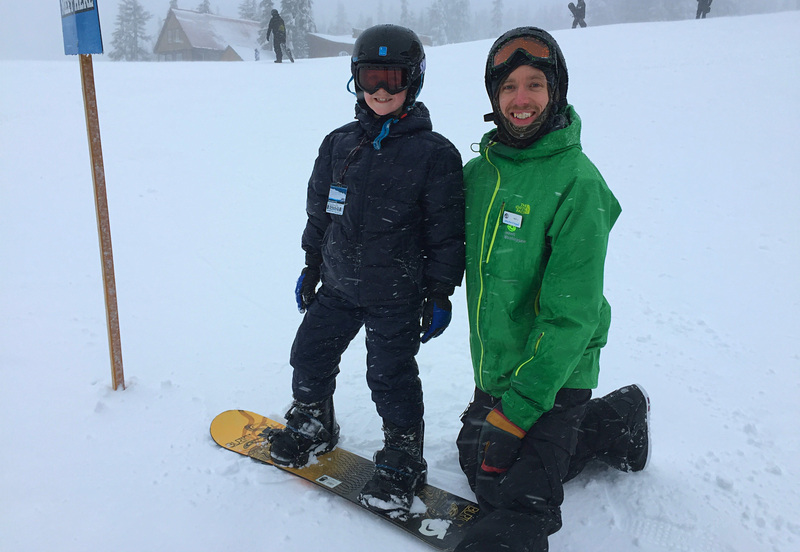 Mount Washington LOVES beginner skiers and snowboarders and their rental, lesson and lift package combo prices and options show it. See for yourself. Give them a call and they will gladly walk you through everything you need to know. Where was Gretta during all this time? Well I actually had no idea. 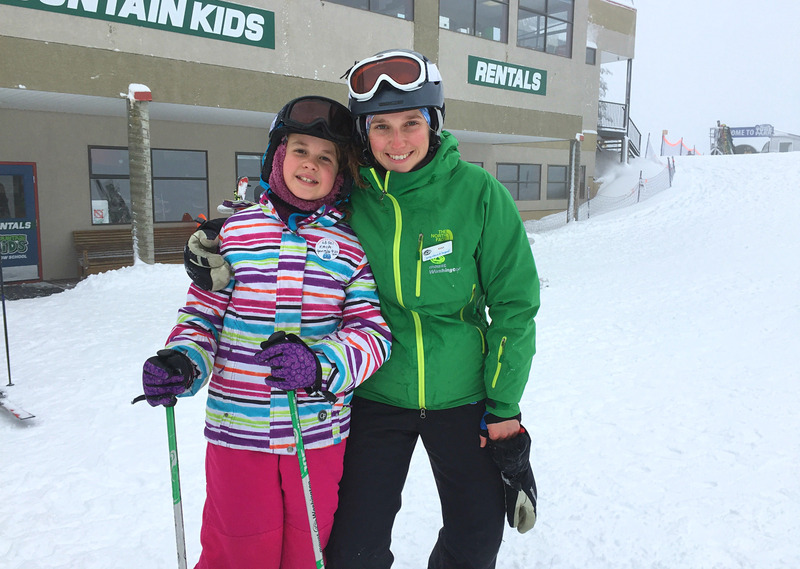 She hadn’t been skiing for 20 years, so she decided to take a couple adult lessons to brush up on her skills. Right up the chairlift she went and after a few tumbles here and there it all came back to her and she was ready to go. Apparently it’s like riding a bike… a very old bike. After the morning lesson we all gathered together and headed to the mountain’s ski lodge for some lunch. 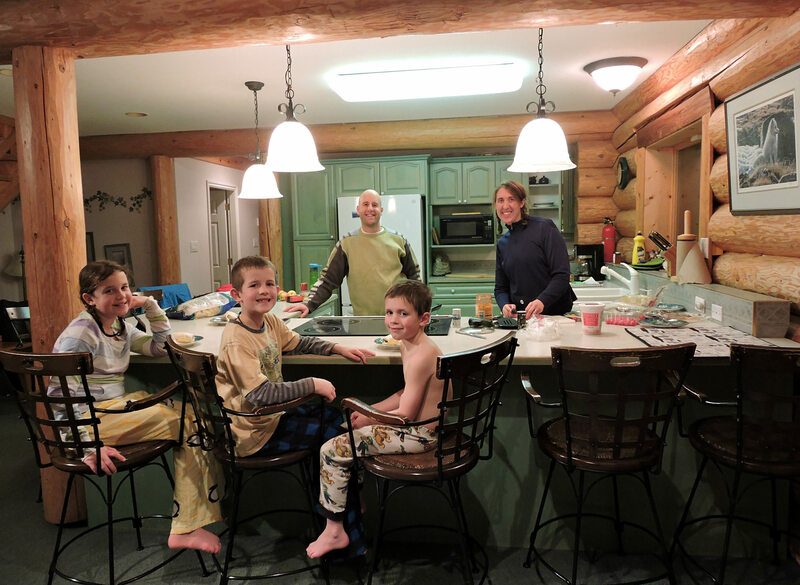 Bringing your own food is always a good way to save money on any family ski trip. After homemade soup with buns, pasta salad and oranges, the kids were begging to get back on the slopes. If you want to splurge we noticed a cafeteria and also a full restaurant to sit back and relax in. I grew up staying directly on the mountain with my family for our extended ski vacations and loved it. I love being able to ski right to the chairlift in the morning or ski to lunch in a comfortable and private space. 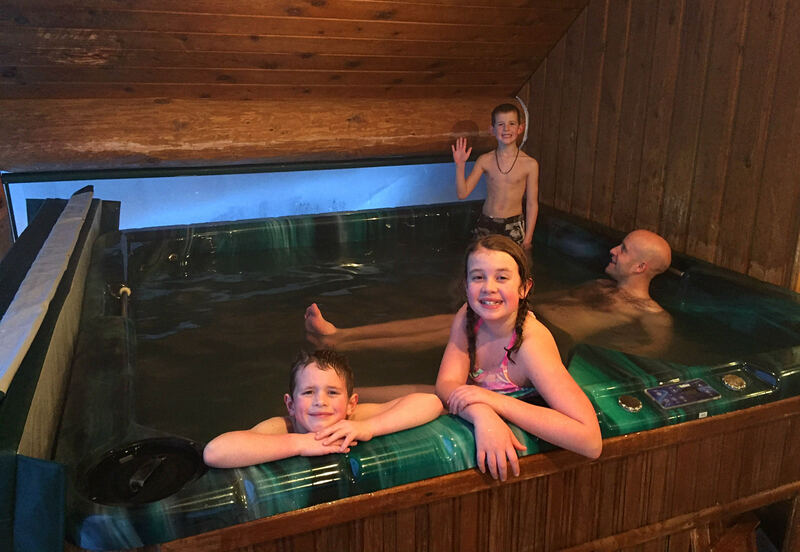 At the end of the day instead of bundling everything up and packing your family in the car you get to ski to your chalet, grab a cup of hot chocolate and go for soak in the hot tub. The ultimate mountain ski lodge. I love those kind of ski days. For two nights we stayed at Winter Green Lodge directly by a ski run and couldn’t have been happier with our choice. 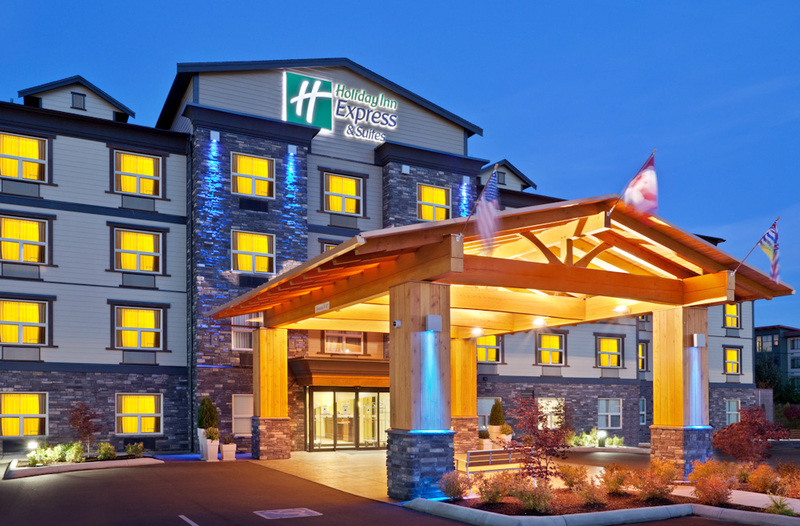 If you are coming up for a night or two and want to save on money and enjoy the many benefits of staying in the valley, we recommend checking out the Holiday Inn Express & Suites in Courtenay. 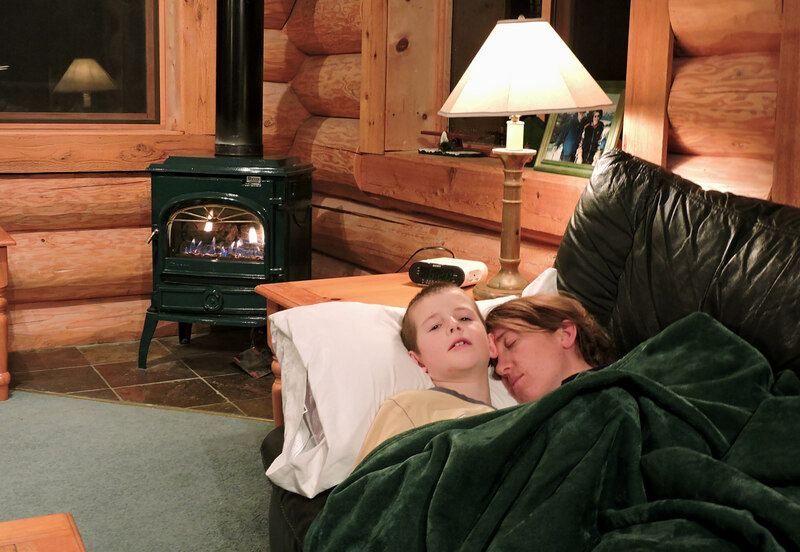 They have great stay & ski package deals throughout the winter months. There are many advantages to this local hotel as well. 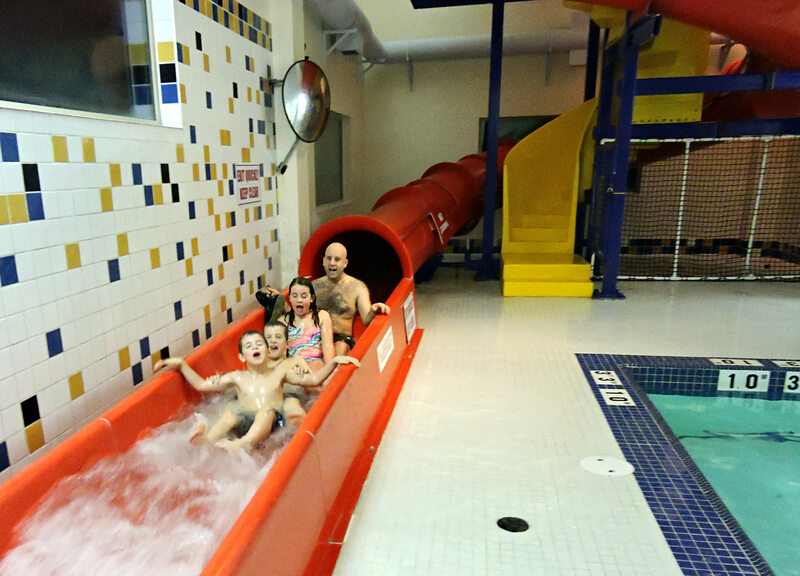 Here we enjoyed several nights of dining out, a family suite with a private room for mom & dad, the perfect ski morning complimentary breakfast, and an all around family-friendly hotel which has the best indoor hotel pool slide on the island. Blew my kids’ minds. 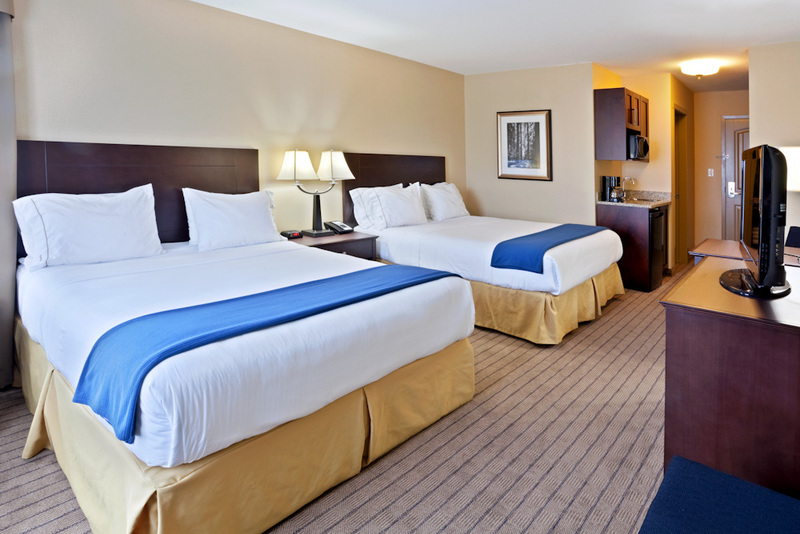 We have seen hotel stay & ski packages from $85 to $110 a night per person. Go to the Comox Valley in January and get yourself up the mountain. That’s when you’ll find the best value. During the end of January this year there is a WinterJAM festival happening and you can save 50% off lift tickets. Lessons and rentals also have special discount offerings at various times in January. Apres Ski events are happening during the festival including comedy shows, music and even outdoor skating (albeit synthetic ice). 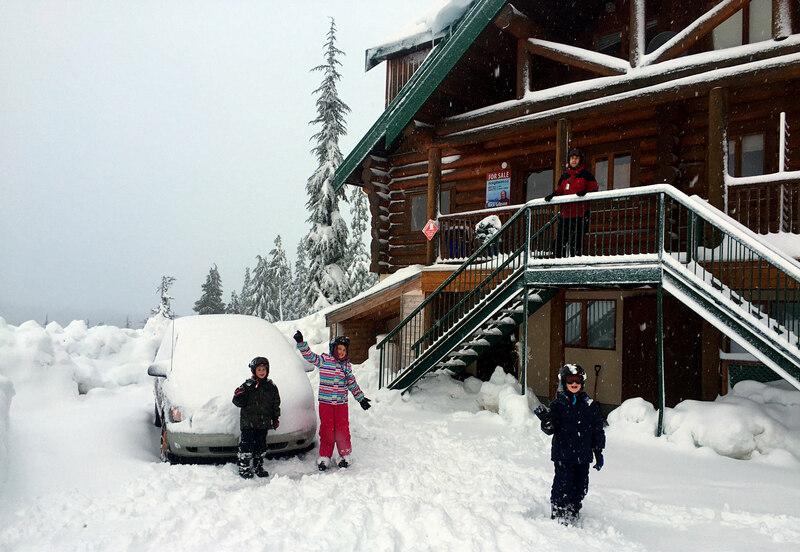 Visit Mount Washington online for the latest snow forecast and special deals!